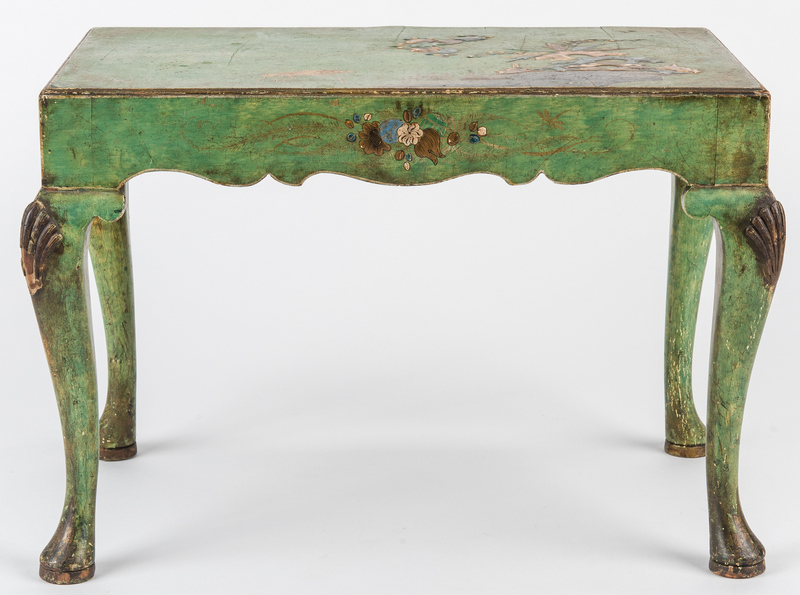 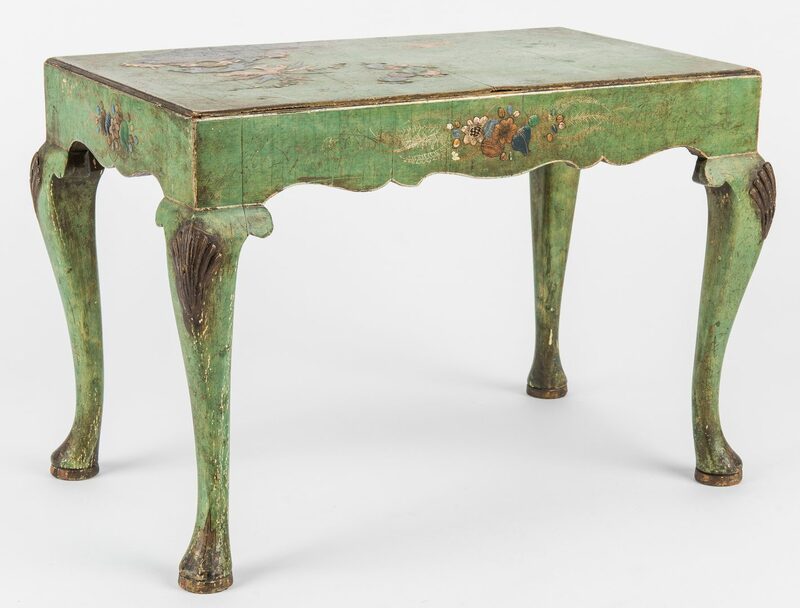 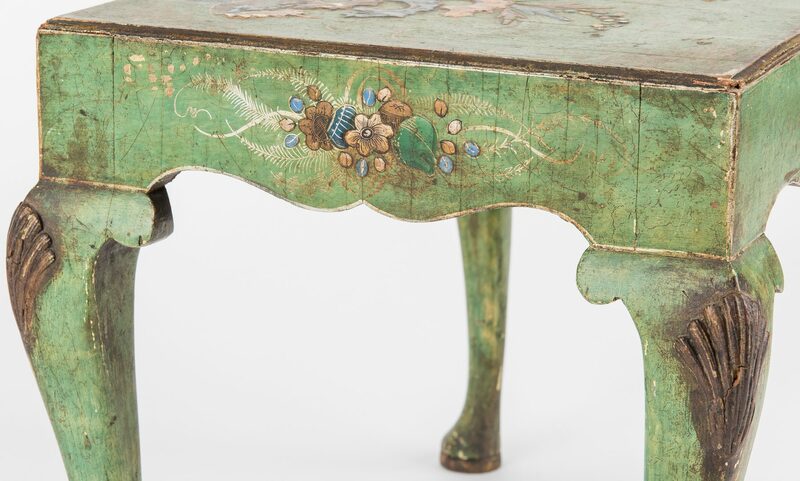 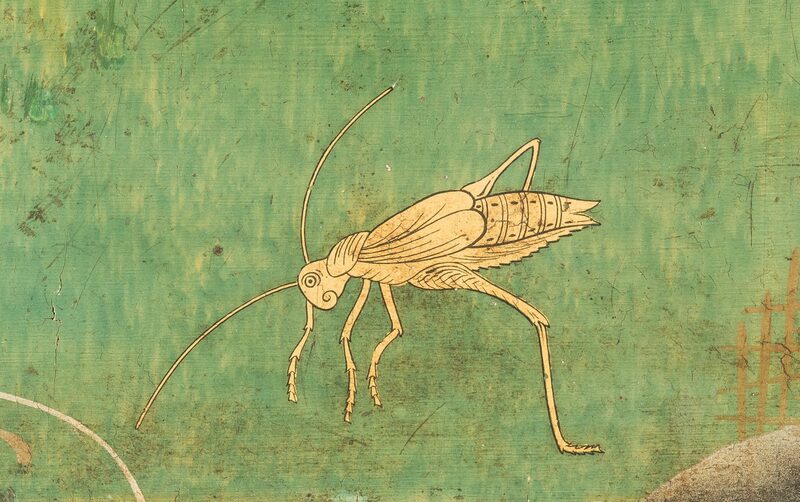 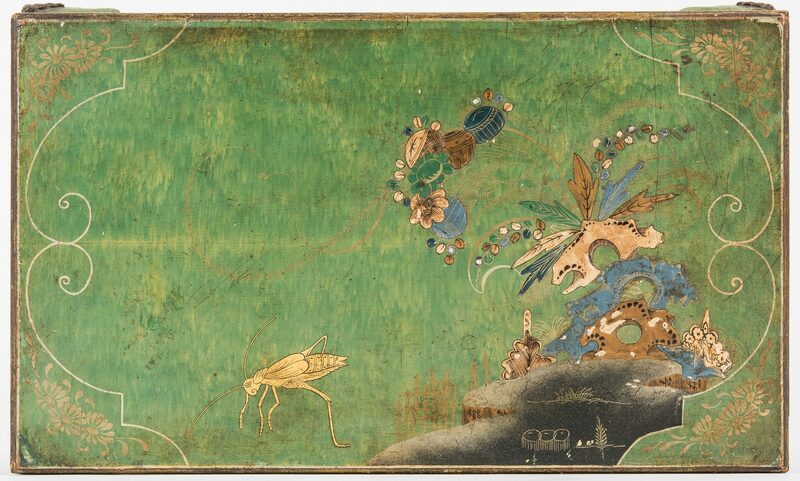 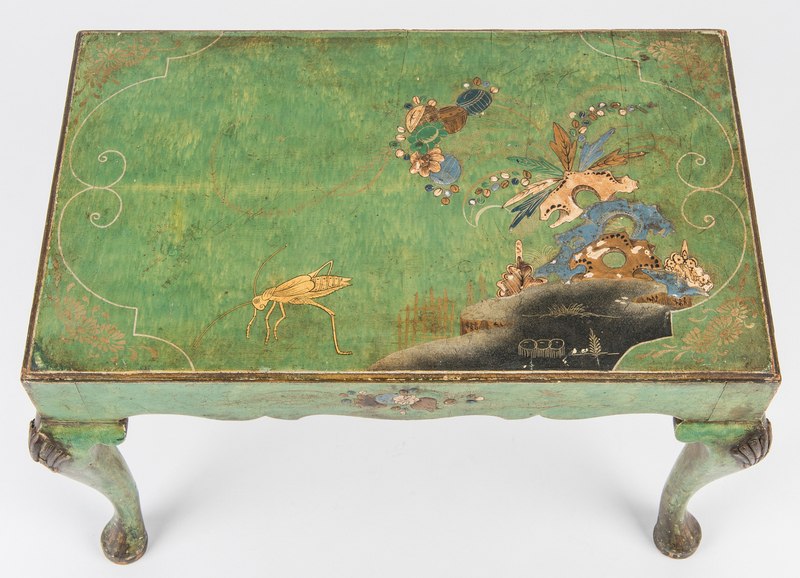 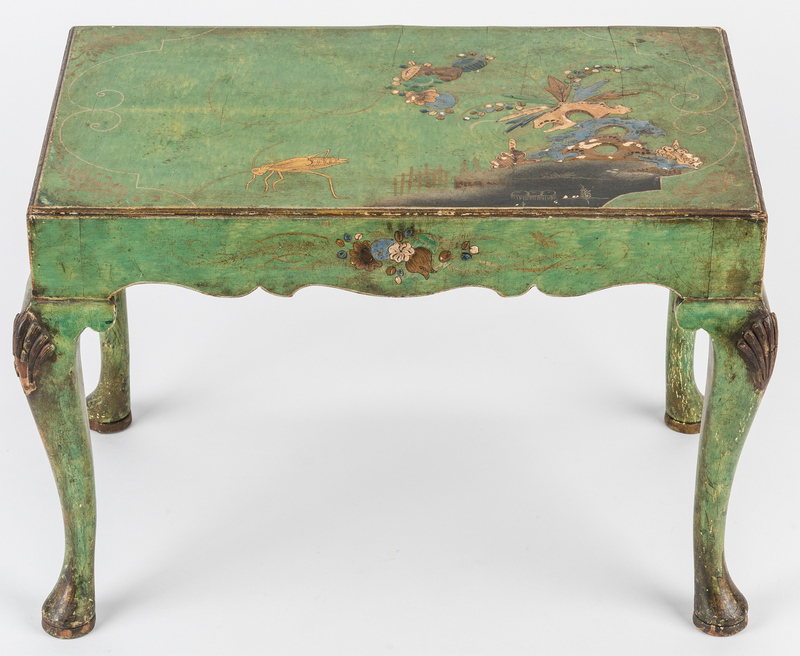 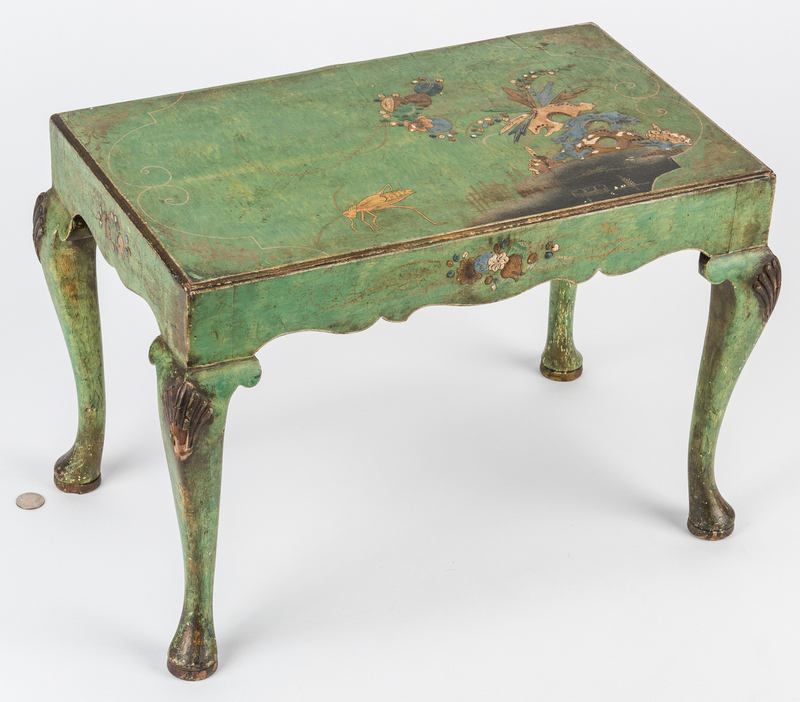 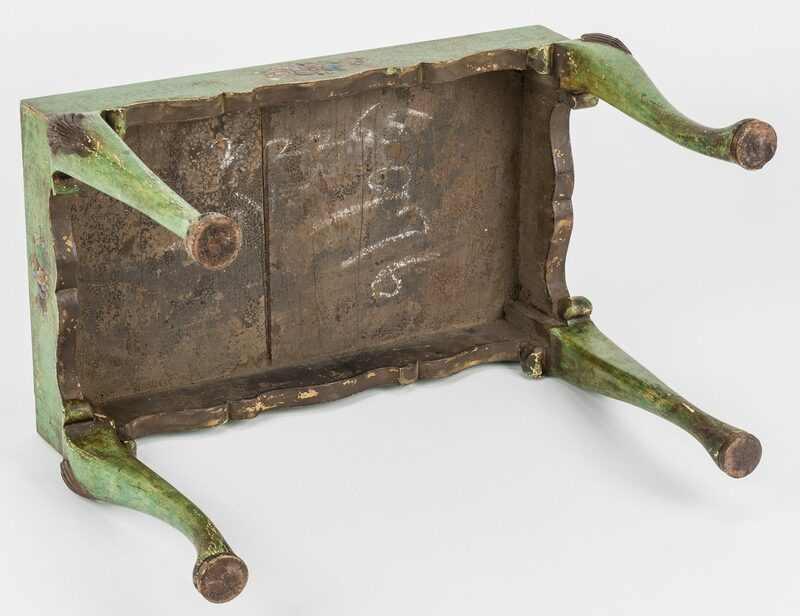 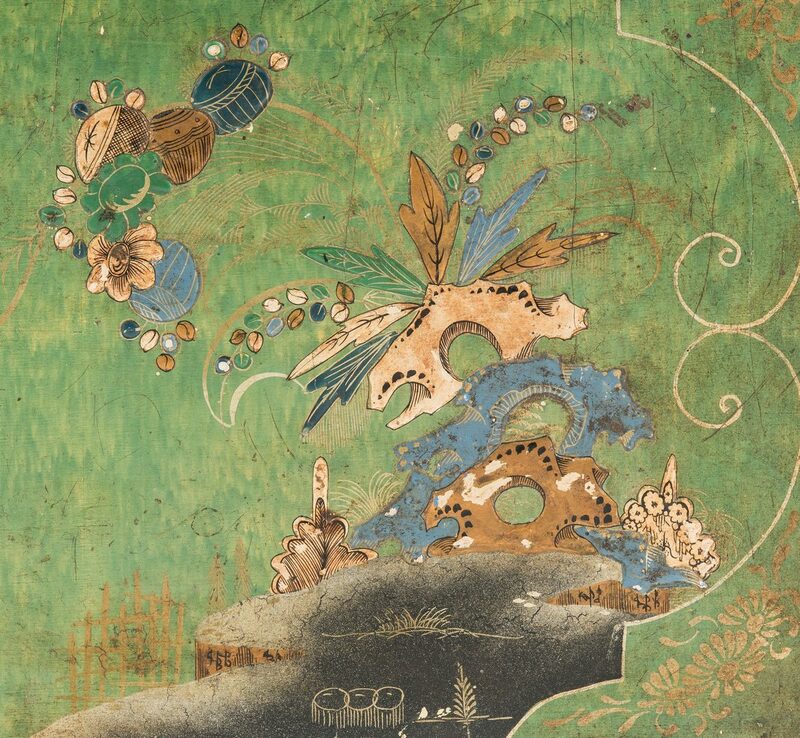 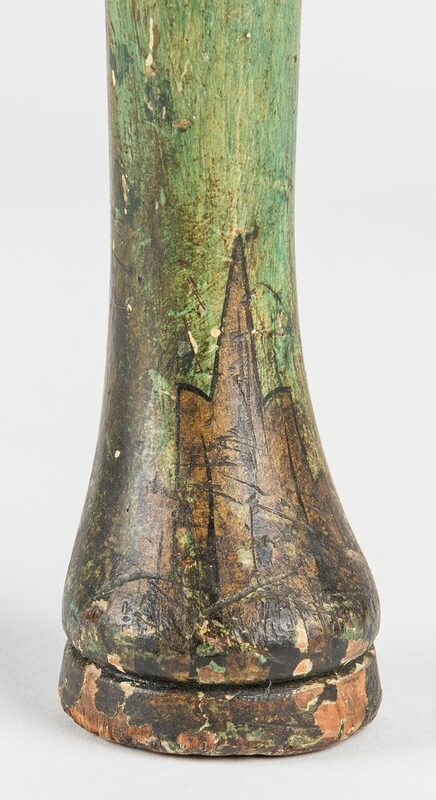 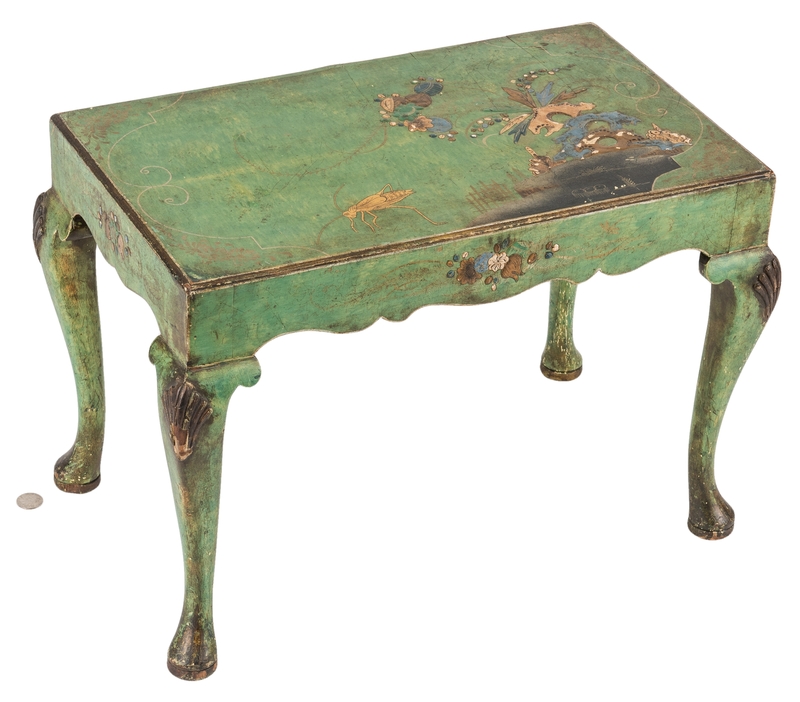 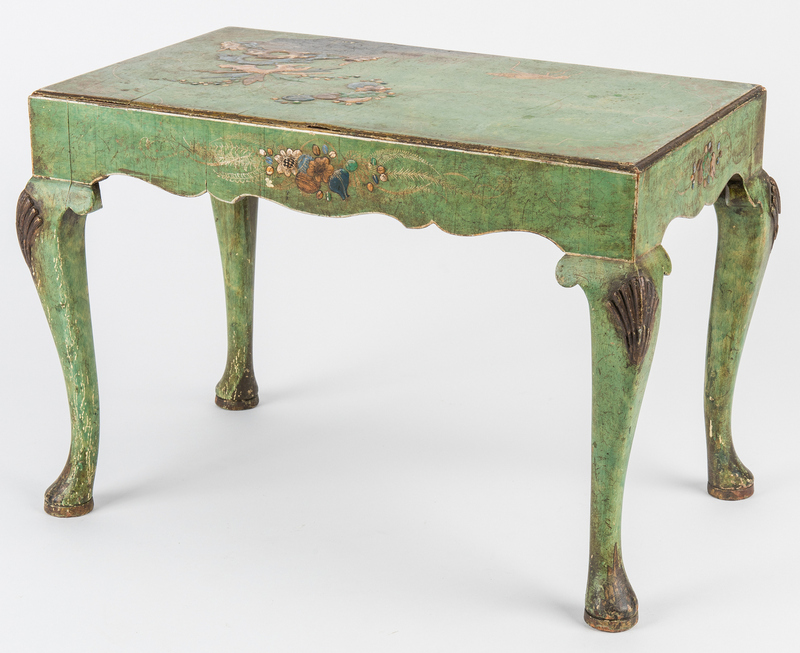 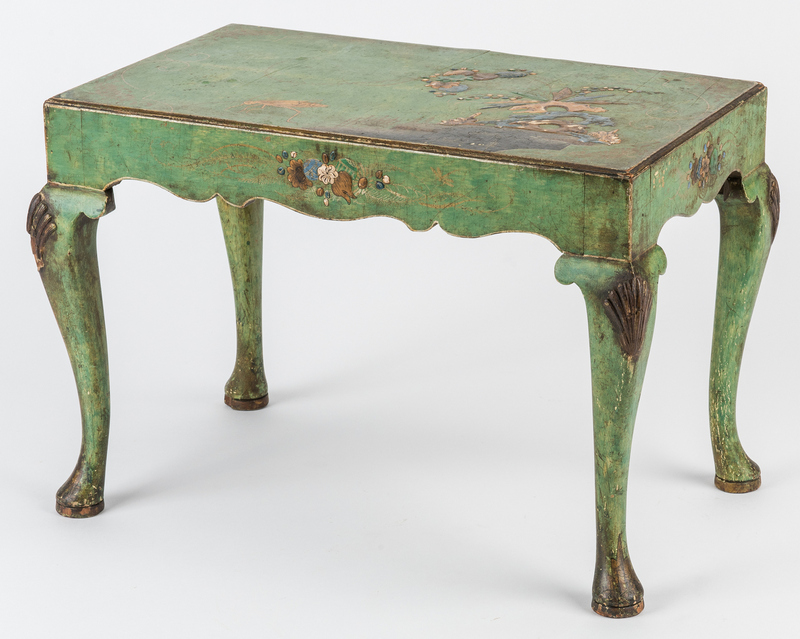 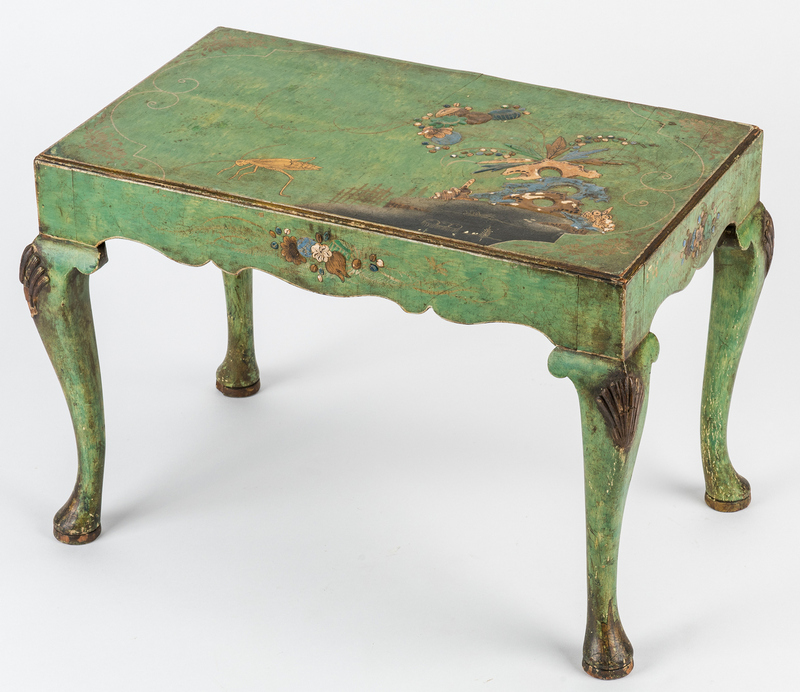 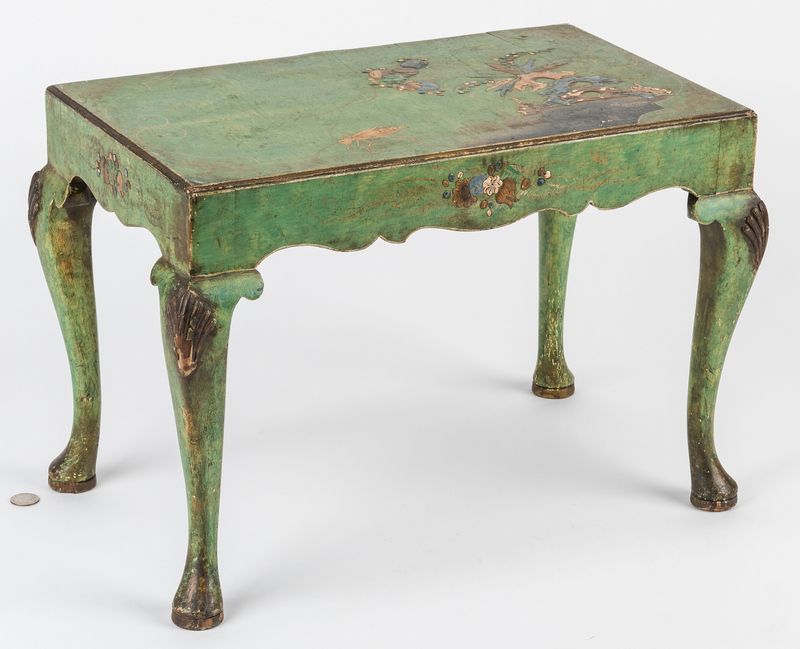 George III green painted and parcel-gilt Chinoiserie low table, polychrome and gilt decoration of a grasshopper in a landscape, carved gilt shell knees and curved legs terminating in gilt decorated pad feet. 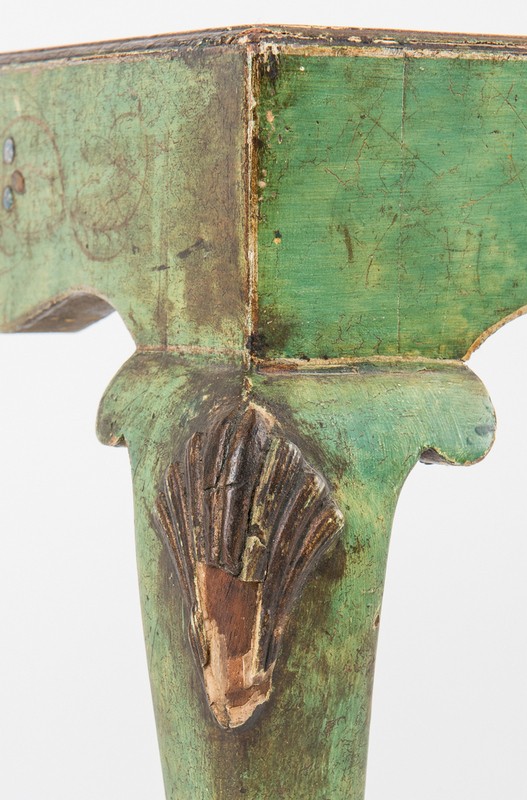 13 3/4" H x 19 5/8" W x 14 1/2" D. English, 2nd half 18th century. Provenance: Nashville collection; Freeman's May 19, 2015 auction, lot 23. 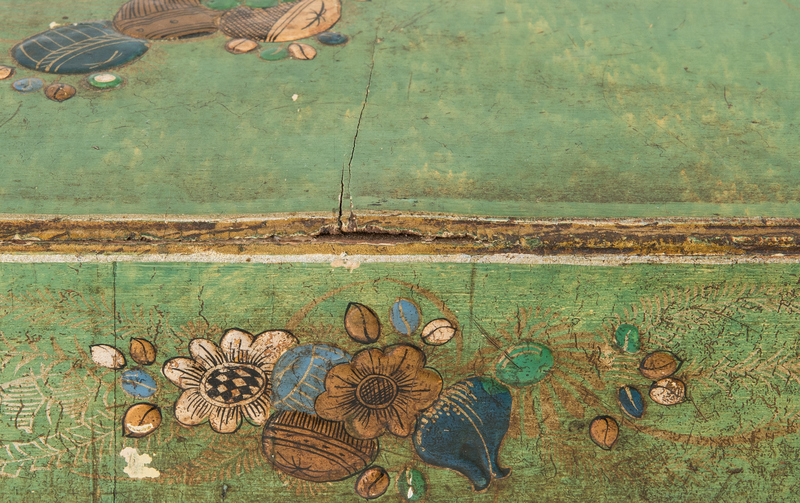 CONDITION: Some light cracklure and age cracks to top, minor scattered rubbing and losses to paint decoration.